Saudi Arabia, potentially enabling Crown Prince Mohammed bin Salman’s reckless regime to build nuclear weapons, sounds so far-fetched as to be almost grotesque. bomb, surely even Donald Trump would balk at such breathtaking – and dangerous – hypocrisy? Apparently not. According to a congressional inquiry, senior White House officials, retired generals and Trump’s close relatives and business cronies have been secretly pursuing a multibillion-dollar scheme to cut a nuclear deal with Riyadh. Donald Trump involved in murky effort to get Qatari investment for the Tennessee nuclear power project. Trump introduced Qatari to donor pursuing nuclear power project, report says, Al-Monitor, Laura Rozen February 21, 2019 WASHINGTON — Last spring, President Donald Trump introduced a potential Qatari investor to a friend and inauguration donor seeking a few billion dollars in investment to buy an unfinished nuclear power plant in northeastern Alabama, according to interviews the donor gave to a Tennessee media outlet published this week. Tennessee businessman Franklin Haney, 78, told the University of Memphis’ Institute for Public Service Reporting that Trump introduced him to the Qatari at Trump’s Mar-a-Lago resort in Palm Beach, Florida, of which Haney is a longtime member. He said the introduction to the Qatari, whose name he said he did not recall, came a couple weeks after he was introduced in March to Trump’s then-personal lawyer Michael Cohen, whom Haney briefly hired as a consultant. Cohen pleaded guilty last year to lying to Congress, financial crimes and violating federal campaign finance laws related to hush money payments made to two women who alleged affairs with Trump before the 2016 US presidential election. Cohen is slated to testify next week before three congressional committees ahead of reporting for a three-year federal prison sentence in May. The Wall Street Journal previously reported that Haney, who contributed a million dollars to Trump’s Inaugural Committee through a limited liability corporation, had hired Cohen as a consultant in an effort to get Qatari investment for the Tennessee nuclear power project. But it had not previously been reported until now that Trump himself had been directly involved in the effort. The White House did not respond to a query from Al-Monitor about the report. Trump’s alleged role in linking a potential Qatari investor to a reported longtime friend and donor came amid a striking shift in Trump’s public statements about the gas-rich Gulf nation, which has been the target of a Saudi-led blockade since 2017. The Qatari roadshow and encounters with several figures in Trump’s close orbit coincided with intensifying federal scrutiny of Cohen. The FBI raided Cohen’s home and offices on April 9. Haney told the Institute for Public Service Reporting in a series of interviews that he paid Cohen about $200,000 before canceling the contract to try to help secure $2 billion in Qatari investment for his plans to buy the Tennessee Valley Authority’s unfinished Bellefonte Nuclear Plant, in northeastern Alabama, and then sell power to the Memphis Light, Gas & Water Division. Haney said he ended the consulting contract with Cohen after Cohen was revealed to be under federal investigation, he told the Institute. Cohen is scheduled to testify behind closed doors before the Senate Intelligence Committee on Tuesday, publicly before the House Oversight and Reform committee on Wednesday and behind closed doors to the House Intelligence committee Feb. 28. The more detailed accounts of consultations between Trump associates and the Qataris on possible investment in a US nuclear power project last spring comes as a new interim staff report by the House Oversight and Reform Committee raises concerns about Trump National Security Council officials having aggressively pursued a private company’s proposal to sell sensitive US nuclear technology to the Saudis. The report also warned that the efforts to lobby the Trump administration to sell US nuclear technology to Saudi Arabia may be ongoing, with reported possible internal administration interest in the plan from Energy Secretary Rick Perry, senior White House adviser Jared Kushner and Trump himself. Trump met with a consortium of US nuclear energy developers and retired US Army Gen. Jack Keane, co-founder of IP3 International and a chief proponent of the plan to sell US nuclear power plants to Saudi Arabia, at the White House on Feb. 12, Bloomberg reported. 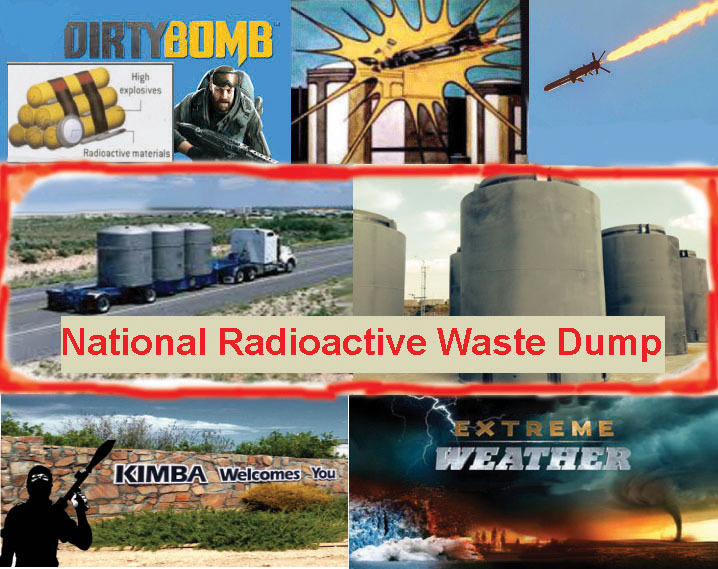 Paul Waldon Fight To Stop Nuclear Waste Dump In Flinders Ranges SA, 22 Feb 19, Stanford Energy, has touted Bill Gates as a entrepreneur while denouncing wind and solar calling it unreliable, at a recent Global Energy Form. The report states that Flynn had decided to develop IP3’s nuclear initiative, the Middle East Marshall Plan, during his transition, and while he was still serving as an adviser for the company.In January 2017, National Security Council staff began to raise concerns that these plans were inappropriate and possibly illegal, and that Flynn had a potentially criminal conflict of interest.Following Flynn’s dismissal, however, IP3 continued to push for the Middle East Plans to be presented to Mr Trump. These apparent conflicts of interest among White House advisers may breach federal law, and the report notes that there is bi-partisan concern regarding Saudi Arabia’s access to nuclear technology.The oversight committee is seeking interviews with the companies, “key personnel” who promoted the plan to the White House, as well as the Departments of Commerce, Energy, Defence, State, Treasury, the White House and the CIA. Congressional report cites ‘abnormal acts’ in White House regarding proposal to build reactors in kingdom, The Independent UK Tom Embury-Dennis @tomemburyd, 20 Feb 19. Senior Trump administration officials pushed a project to share nuclear power technology with Saudi Arabia over the objections of ethics officials, according to a congressional report, in a move that could have benefitted a company which has since provided financial relief to the family of Jared Kushner. Citing whistleblowers within the US government, the report by the Democrat-led House oversight and reform committee alleges “abnormal acts” in the White House regarding the proposal to build dozens of nuclear reactors across the kingdom. The committee on Tuesday opened an investigation into the allegations, which include concerns over whether White House officials in the early months of the Trump administration sought to work around national security procedures to push a Saudi deal that could have financially benefited close supporters of the US president. According to the report, the nuclear effort was pushed by former national security adviser Michael Flynn, who was fired in early 2017 and is awaiting sentencing for lying to the FBI in the Russia investigation. Derek Harvey, a National Security Council official brought in by Flynn, continued work on the proposal, which has remained under consideration by the Trump administration. Relying on the whistleblower accounts, email communications and other documents, the committee’s report details how National Security Council and ethics officials repeatedly warned the actions of Flynn and a senior aide could run afoul of federal conflicts of interest law and statutes governing the transfer of nuclear technology to foreign powers. The report also notes one of the power plant manufacturers that could benefit from such a deal includes Westinghouse Electric, a subsidiary of Brookfield Asset Management, a company which struck a deal in August to rescue the Kushner family’s 666 Fifth Avenue tower in Manhattan from massive debts. Detailing the White House’s continued efforts to promote the deal, the report highlights how in May, energy secretary Rick Perry told a congressional committee he “tried to really drive home” to Saudi Arabia how “you have to use Westinghouse” for “the best reactors in the world”. Yahoo Sports, Feb 21, 2019, A contractor involved with a failed nuclear power plant construction project allegedly made some nice cash in a kickback scheme that involved tickets to sporting events. And, like most alleged illegal kickback schemes, the contractor got caught. According to a court filing in a lawsuit filed by the United States Government, Wise Services Inc. submitted nearly 500 fake invoices during construction of a Savannah River nuclear facility. The South Carolina project was ended in 2018 and won’t be finished. MOX Services is a South Carolina Limited Liability Corporation with headquarters in Aiken, South Carolina. Wise Services, which subcontracted with MOX Services, is an Ohio corporation with headquarters in Dayton, Ohio. Under the MOX Contract, MOX Services agreed to design, build, operate (and ultimately decommission) the MFFF. The MFFF is designed to transform weapons-grade plutonium into mixed oxide fuel rods that may be irradiated in commercial nuclear power plants. Wise Services to supply labor, materials, equipment, and supervision for unplanned construction activities (e.g. general labor, plumbing, electrical, carpentry) deemed necessary to support MOX Services’ efforts at the MFFF. The government’s complaint alleges that Wise Services falsely claimed reimbursement under its subcontracts with MOX Services for construction materials that did not exist, and that in turn MOX Services knowingly submitted $6.4 million in claims to NNSA for the fraudulent charges submitted by Wise Services. The complaint further alleges that Wise Services’ Senior Site Representative Phillip Thompson paid kickbacks to MOX Services officials with responsibility for the subcontracts to improperly obtain favorable treatment from MOX Services. On Feb. 27, 2017, Mr. Thompson entered a guilty plea on charges of conspiring to commit theft of government funds. A closer look at SNC-Lavalin’s sometimes murky past CBC, 12 Feb 19 One of Canada’s biggest engineering companies is at the centre of what appears to be a growing scandal engulfing Prime Minister Justin Trudeau and his government. Trudeau denies he directed his former justice minister and attorney general, Jody Wilson-Raybould, to intervene in the prosecution. Wilson-Raybould was shuffled out of her position last month and has refused to comment on the story. Days after the story broke, the federal ethics commissioner confirmed he will investigate claims the prime minister’s office pressured Wilson-Raybould to help SNC-Lavalin avoid prosecution. 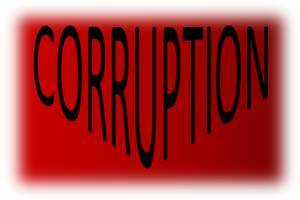 Corruption scandal in Bangladesh ……. In late November 2018, former SNC-Lavalin vice-president Normand Morin quietly pleaded guilty to charges of violating Canada’s election financing laws. In total, $117,803 flowed from SNC-Lavalin to federal party funds during that period. The Liberal Party of Canada got the lion’s share — $83,534 to the party and $13,552 to various riding associations. Another $12,529 went to contestants in the 2006 Liberal Party leadership race won by Stephane Dion. The Conservative Party of Canada received $3,137 while Conservative riding associations got $5,050.